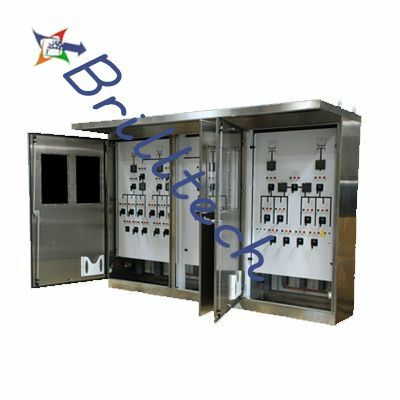 Brilltech is rumored as one of the main Mimic Panel Manufacturers, Suppliers and Exporters from India. These boards are made utilizing premium evaluation crude materials and parts that guarantee an impeccable consistence with the global standards. Notwithstanding this, to guarantee faultless and inconvenience free working, each Fire Mimic Panel is finished through string quality tests in light of different quality parameters. The unmatched quality and brilliant execution in separate application ranges and accessibility at business sector driving costs, with the stipulated time period has additionally assumed a vital part in the improvement of the business sector requests. In addition, Mimic Control Panel is accessible in different details to meet the prerequisite of the purchasers and application zones. -Create wonderful, grand, near the general style of the present day control room. -Constant presentation of working parameters of field gadgets, running state, auspicious, real and complete impression of the strength of the framework hardware. -Screen surface hardware establishment, simple to move, they can simply modify the screen surface design.